For the last few decades, reading printed books has been on the decline year to year. Some part of the change can perhaps be attributed to the rise in other forms of entertainment (e.g. Netflix and iTunes), but mostly it’s just been all of us collectively deciding to switch to a variety of book reading apps. In 2011, Amazon announced that they were selling more electronic books than physical ones through their Kindle platform, which was available on all Kindle devices, as well as smartphones, tablets, and personal computers. 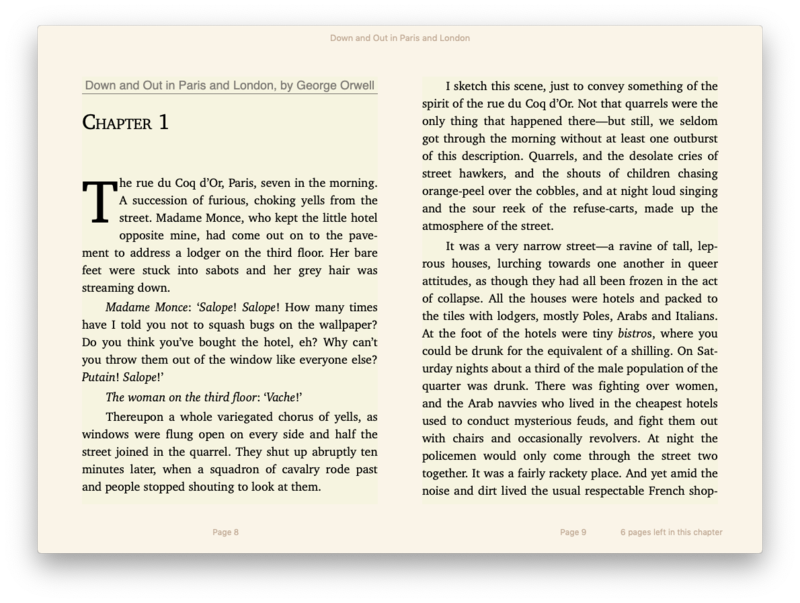 Apple with the iBooks ePub reader for Mac, iPad, and iPhone was not too far behind. The rest of the apps for reading books were generally created by smaller third-party startups. Reading on your Mac has a few advantages over specialized readers or your smartphone. First of all, you have enough screen real estate to easily process a book of any kind, especially if it involves illustrations and graphs, which you can enlarge and modify as needed. Second, reading on Mac doesn’t lock you into a specific format, such as .mobi, .epub, or PDF. If you’ve been wondering how to read book online, it’s practically only possible on Mac. 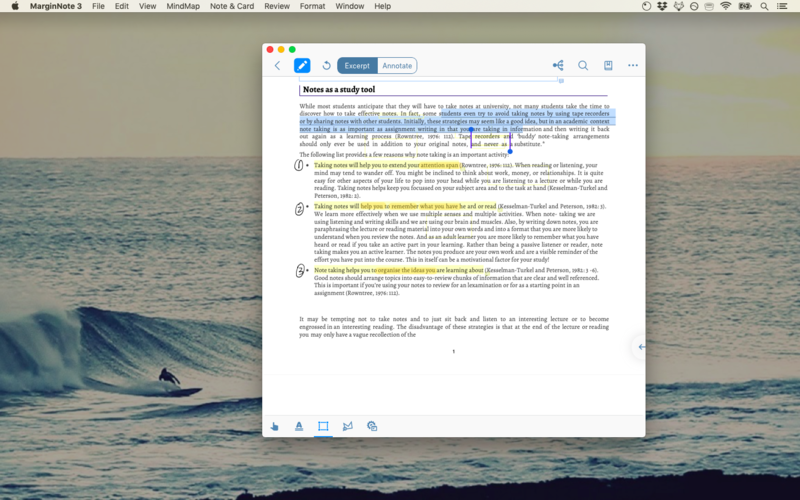 Third, as you read on your Mac, taking notes and annotation becomes so much easier. Reading could be a truly educational experience, which in turn could elevate the quality of your reading material. Luckily, all the best book apps are available on Mac for less than the price of a single magazine. Most popular app examples include Kindle, iBooks, and MarginNote. Is Kindle reader for Mac a good choice? The most widely used reader for Mac is the Kindle app from Amazon. Undoubtedly, its best feature is the access to millions of Kindle-compatible books in the .mobi format. Besides, Kindle for Mac boasts an adjustable interface, where you can change your preferences as to fonts, line-spacing, and background colors. The drawbacks of using a Kindle reader for Mac is mostly being restricted to .mobi format, available only on Amazon. Plus, the Kindle app doesn’t make it easy to upload your own books that you got somewhere else. For years, the Kindle reader for Mac has been avoiding the idea of bringing hyphenation to the platform, which makes text lines more uniform and easier to read. Although the platform supports hyphenation now, most of its books still don’t. You can try and download Kindle for Mac on the official Amazon website or in the App Store. Kindle’s main competitor as of now is Apple’s iBooks app. Let’s see how they differ. Why use iBooks for Mac? Without a doubt, the iBooks app (now called Apple Books) is convenient simply because it already comes pre-installed with your Mac. You can use it to buy any book in the Apple Book Store, which carries nearly all the popular titles. Unlike Kindle, Apple Books is the best ePub reader available on the market, although it also does support other formats, most notably PDF. You also have more adjustment options, particularly, hyphenation works much better in the iBooks app than it does on Kindle. The latest updates to iBooks also included the support for audiobooks, which has expanded a straightforward book reader app into a full entertainment and education experience available at any time, whether you’re driving or relaxing at home. The third popular book reader app is MarginNote. 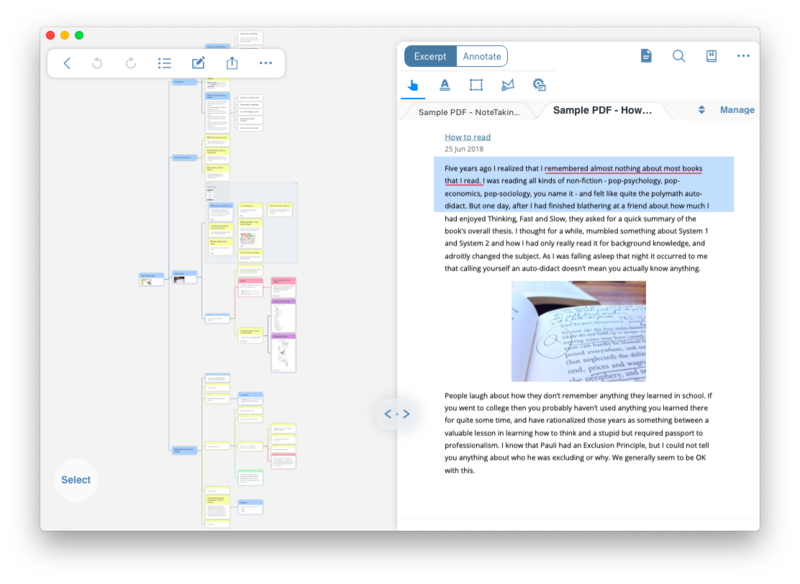 While it supports ePub and PDF just like iBooks, its unique features lie in advanced annotations, mind-mapping, and flashcards that allow you to better absorb all the reading material. Annotations let you highlight text and make quick notes on the margins, whether to explain certain concepts or to save ideas for later use. Finally, you can export all your notes into Evernote, Anki flashcards, iThoughts mind-mapping, or print. 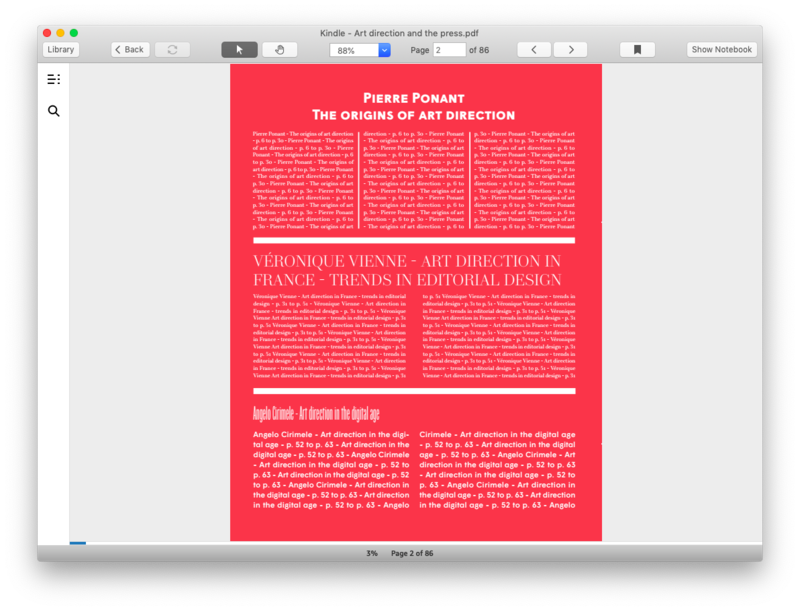 MarginNote is an indispensable ePub reader for Mac if you’re a student, professional researcher, lawyer, or just like to read challenging books that need some breaking down for better retention. In the end, no matter which app you choose for reading, you should hope for a good, distraction-free reading experience, where you can focus on one thing at a time. HazeOver is a lightweight Mac utility that allows you to automatically dim everything on your screen but the currently active app. It lives in the background but is always available in your menu bar in case you need to adjust some preferences, such as the level of dimming. So when thinking about the best book reader app for your Mac, lean towards Kindle only if you already have a large library of .mobi books. Otherwise, choose the iBooks app for lighter reading materials and MarginNote when you really need to dive into something worth contemplating. Accompany all of these apps with HazeOver to improve your reading experience and minimize any distractions. Best of all, you can try MarginNote and HazeOver for free via Setapp, a platform of more than 130 Mac utilities that bring solutions to any app-related problems. What’s next on your bookshelf?